The Washington County Board of County Commissioners voted yesterday to approve a speed camera ordinance that allows speed cameras inside of school zones. Three of the five Republican commissioners – Myers, Keefer and Barr – voted to strip motorists of their Constitutional rights under the guise of “public safety,” ignoring their oath to uphold the Constitution. 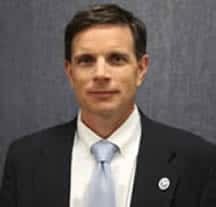 However, two of the five commissioners – Jeff Cline and Terry Baker – voted for liberty over tyranny, with Cline noting that speed cameras are not a sustainable source of revenue. Most saliently, Baker argued correctly that speed cameras dwindle motorists’ constitutional rights to face their accuser, because how could one possibly question a robot in a courtroom? Myers, Keefer and Barr apparently bought the argument that speed cameras stop motorists from speeding. No speed camera will ever definitively stop a speeding and/or dangerous driver in real-time from speeding through a school zone – no matter how many $40.00 tickets arrive in their mailbox. And how could the three commissioners turn down the extra income that the cameras will inevitably bring in? Speed cameras have never been about public safety, of course. 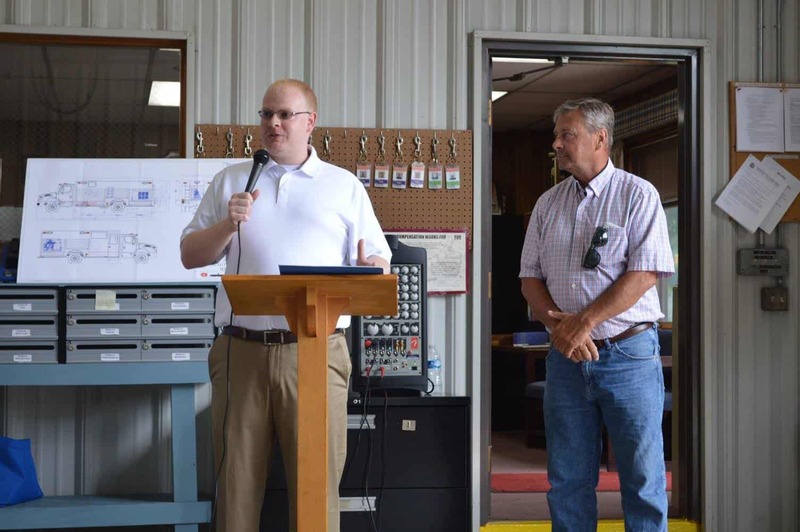 They are another cash cow for local governments – typically used by mismanaged local governments; but Washington County hasn’t had a fiscal problem, especially when Greg Murray was the county’s administrator for the last ten years. And we expect Republicans to protect and defend our constitutional liberties? Not in Washington County. Thank you, Terry Baker and Jeff Cline, for standing up for motorists. The right to face your accuser in court and cross-examine witnesses is guaranteed by the US Bill of Rights. Speed cameras deny you this right because the accuser is a machine. Speed cameras are a form of mass surveillance over ordinary drivers. The government is forbidden from engaging in sweeping surveillance systems without warrants to look for offenders of crimes. Only DRIVERS, rather than career criminals, are currently considered bad enough by the state legislature to justify such a system. It is possible that the cameras, or the data they collect, could one day be used for purposes other than speed enforcement, which may already be happening. The lack of human oversight means that no one person will be held accountable if there are widespread errors or misconduct by officials. Since tickets are received weeks later, the accused has a very limited ability to gather evidence in their defense. This is particularly true of mobile cameras which may no longer be in the same location, or ‘work zone cameras’ where the location may have been substantially changed by the time the defendant becomes aware of the alleged offense. Tickets are issued to the owner of the vehicle even if they are not the driver. Fully a third of speed camera tickets are going to people who did not, in fact, commit the offense because someone else was driving at the time. This is of even more concern now that courts in Maryland have declared paying a citation to be an “admission of speeding”. Ticket Recipients who challenge citations have their cases heard in an unfair court proceeding commonly known as District Court ‘Speed Camera Day’, where dozens of defendants have their cases heard in an assembly line manner. Because the burden of proof for speed camera tickets has been lowered below that of a criminal case, below that for even ordinary traffic violations, defendants are essentially ‘guilty until proven innocent’. Judges have in some cases made statements to the effect that ‘the only acceptable “not guilty” plea was if someone else had been driving their car at the time the ticket was issued, and to present that driver.” At Speed Camera Day hearings the government is free to present evidence without supporting witnesses, something which would normally be a violation of the “Rules of Evidence”. In some cases, defendants are found guilty even when they have proven that required operating procedures were not followed. In many cases even when a defendant requests the “operator” of the camera to appear, in the manner described in the citations, judges have instructed that those operators need not testify, something which goes against several supreme court rulings on the spirit of the “Confrontation Clause” of the US constitution. Not only does this set a horrible legal precedent, and risk finding innocent people guilty, but it gives no incentive for the government agencies which are enforcing the law to obey the law themselves. The safety benefits of automated traffic enforcement systems have been mixed. Red light cameras have actually been proven to INCREASE accidents(see more studies). One study in the UK has shown that other forms of speed control, such as speed bumps and speed indicator signs are much more effective at reducing accidents. Another UK study demonstrated that speed cameras did not reduce accident rates in highway work zones, concluding “No significant difference was observed in the PIA[Personal Injury Accident] rate for sites with and without cameras.” In one case a Montgomery County town was found to have made claims about reductions in accidents which were found to be false when compared to their own monthly police reports. In Baltimore County, the police reported no reduction in accidents near speed camera sites. Baltimore City saw accidents rise from 2009 to 2012 while they were adding speed cameras. There are other ways to reduce speeds, such as the use of radar speed signs, that are every bit as effective if not more so than speed cameras. The profit motive of speed cameras encourages the government to ignore the alternatives. Speed cameras do not remove the worst drivers from the roads the way a police officer can. Drunk drivers or a reckless criminal in a stolen vehicle, who might pose an immediate risk to pedestrians and other motorists, could ignore a speed camera completely. And since the current system issues no points for citations, a wealthy but extremely bad driver can receive dozens of speed camera tickets without losing their license if they pay the fines. Speed cameras encourage erratic driving behavior. Drivers slow down as they approach the camera sites, then accelerate after they pass them. Cameras make some already safe drivers nervous. And enforcement which is too strict could have unintended consequences such as causing drivers to spend too much time looking at their speedometers rather than at the road. The platitude that “if you don’t speed you won’t get a ticket” is UNTRUE because there have been many proven cases of speed cameras issuing tickets in error. Recent events in the city of Baltimore proving systematic errors by that city’s cameras were only the latest, there have been many other instances of proven errors elsewhere in the state. Even if the driver believes they are innocent, they need to spend days fighting one $40 ticket in court, and would probably not find it worthwhile to do so except as a matter of principle. In some extremely sad cases, even a well-prepared defendant might find themselves before the judge who has decided in advance that he will not allow any defense challenging the accuracy of the cameras: a scenario which is a total perversion of the principals of our justice system. A commercial driver could potentially be fired over an erroneous camera ticket issued to an employer-owned vehicle. The speed cameras are NOT operated by sworn police officers. Instead, this is outsourced to a private company. For example, under Montgomery county’s camera program their contractor receives a $16.25 per ticket commission from these cameras, despite the fact that this violates a provision of state law intended to forbid paying contractors based on the number of citations issued or paid. This practice is now common throughout the state despite past promises that it would not be done. Essentially the contractor which generates the evidence used in court cases gets paid only if the defendant is found guilty, a clear conflict of interest. Moreover, the fact that local governments have circumvented this part of the law simply to guarantee a revenue stream brings into question whether ANY limitations on cameras will be respected. The US Public Interest Research Group issued a study cautioning on numerous dangers of privatizing law enforcement, including contingent fees and other contractual arrangements that give contractors a motive to ticket safe drivers, and Maryland has become a perfect example of what they were cautioning about. These cameras are about REVENUE. Some local governments see them as a way to make big money off of passing motorists who do not know the camera locations the way local drivers do. Speed cameras are now a $77million industry in Maryland. Washington DC’s speed and red light camera systems have issued 2,952,333 tickets worth $224 million as of July 31 2007. Most of that money has come from Maryland residents. Another prime example: the town of Forest Heights budgeted to bring in more gross revenue from speed camera tickets in FY2011 than the town’s entire pre-speed camera budget in FY2010. At least one county executive openly admitted that the cameras are ‘a tax‘, and one Chevy Chase Village council member once referred to speed camera money as “the crack cocaine of local government” as the town was searching for creative bookkeeping techniques to circumvent restrictions on speed camera money. Speed Cameras are magnets for corruption. Speed Camera Contractors lobbied heavily for statewide speed cameras, even buying lawmakers steak dinners. In Prince George’s County, the county’s speed camera contract was awarded to a company with questionable technology which had made substantial contributions to the county executive. Local governments have written funds into their budgets before camera locations were even selected. One town was found to have written their contract in such a way as to require the contractor to generate a profit. Other localities have bypassed restrictions on the use of funds. 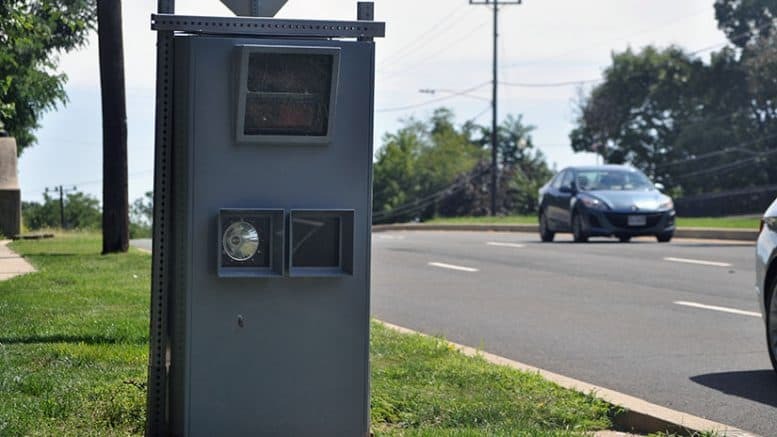 Many towns and cities in Maryland have even started creating new school zones solely for the purpose of deploying speed cameras, in one case even trying to lower speed limits just so they could issue more tickets. The desire for more public funds at any cost ignores the fact that using law enforcement for revenue generation is harmful to our justice system, creating a conflict of interest by the state against the accused. Future administrations may be encouraged to use overbearing tactics to increase revenues — such as concealed cameras, deliberately lowering speed limits, deceptive or inadequate signs, or cameras placed immediately after the sign reducing the speed limit. Because of their revenue potential, speed cameras are used as a heavy handed substitute for sound engineering approaches which can be more effective than speed cameras at reducing drivers speeds. Speed cameras tend to encourage local governments to set speed limits artificially low to increase revenues INSTEAD OF basing them on the standard traffic engineering practices. Speed limits have specifically been lowered at speed camera sites in several towns including Brentwood, Mount Rainier, and Cheverly. Another example would be one camera in the City of Gaithersburg where, at the request of a ticket recipient, the SHA conducted a traffic study and concluded the 30mph speed limit was set 10mph too low, stating “Observations of the [speed] camera’s impacts to traffic noted that motorists would brake significantly at each camera location, followed by accelerating immediately afterwards. This effect was most pronounced at the southbound camera, where motorists were observed frequently bunching together at the camera position. Given the recent installation of the cameras, quantifiable safety data is not yet available; but the current conditions may pose a more significant risk for rear-end and sideswipe conditions and, with speeds increasing immediately beyond the cameras, may not be achieving the desired safety benefits.” Instead of accepting the SHA’s judgment, however, the city requested that the 30mph limit zone be EXTENDED to cover another portion of the roadway, to southwards a point which happened to be just below camera site with a 35mph limit. Speed limits should be set according to sound engineering practices, NOT based on what will produce more ticket revenue from out of town drivers. Setting them too low turns law-abiding citizens into lawbreakers and does not benefit safety. Speed cameras can contribute to traffic congestion. Cameras are typically placed without first performing a traffic study intended to confirm the speed limit and determine the effect on traffic patterns. the only study performed is typically done by camera vendor,s who get a cut of each ticket, to determine whether or not the site will make money. The fact that cameras are used to enforce speed limits much lower than standard traffic engineering practices would dictate creates a situation where drivers to slow down to well below the speed limit for the 100 yards near speed camera sites before speeding up again, a fact which is easily observable at many camera sites. The cameras Maryland has now are merely a “special introductory offer” which is NOTHING compared to what we will have in 4 or 5 years if left unchecked. Those who profit from cameras are continuously lobbying to raise fines, remove restrictions, and introduce new types cameras for common ‘technical violations’ which have little or nothing to do with safety. Because of the revenue, the cameras create, YOUR TAX DOLLARS are being spent by some local governments to lobby to block legislation which would alleviate some of the complaints listed here and to promote legislation authorizing new types of photo enforcement and to remove existing restrictions. There is no limit to how far some would go to restrict your driving freedom and your legal rights in order to more easily extract money from you.